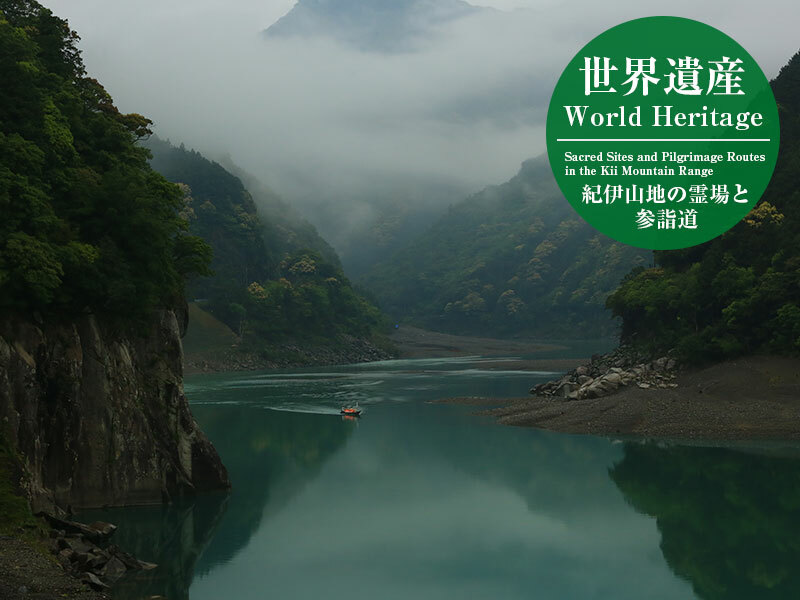 Visitors to Kumano can travel down the Kumano-gawa River, from the Kumano Hongu Taisha Grand Shrine to the Kumano Hayatama Taisha Grand Shrine, in the same royal manner as emperors long ago. 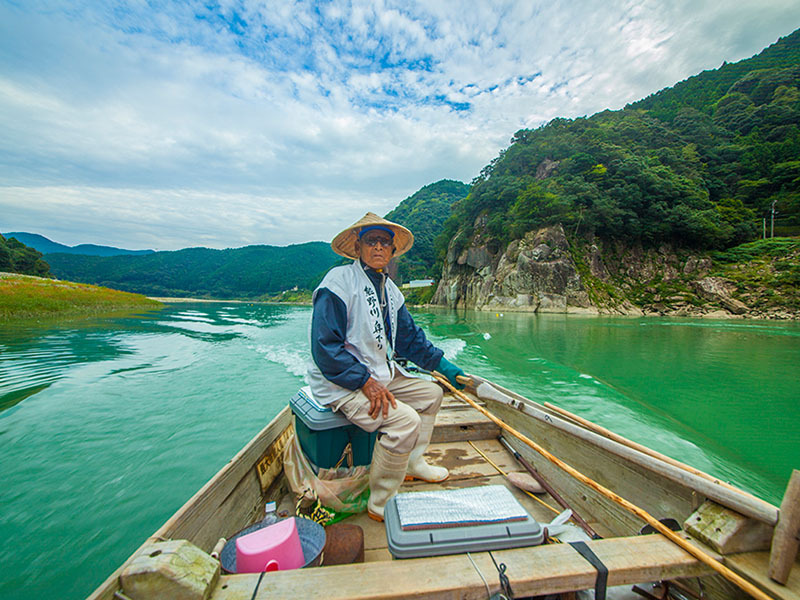 After boarding at the Dorokyokaido Kumano-gawa River roadside station, you can enjoy a 90-minute ride to Gongen-gawara , which is close to Kumano Hayatama Taisha Grand Shrine. 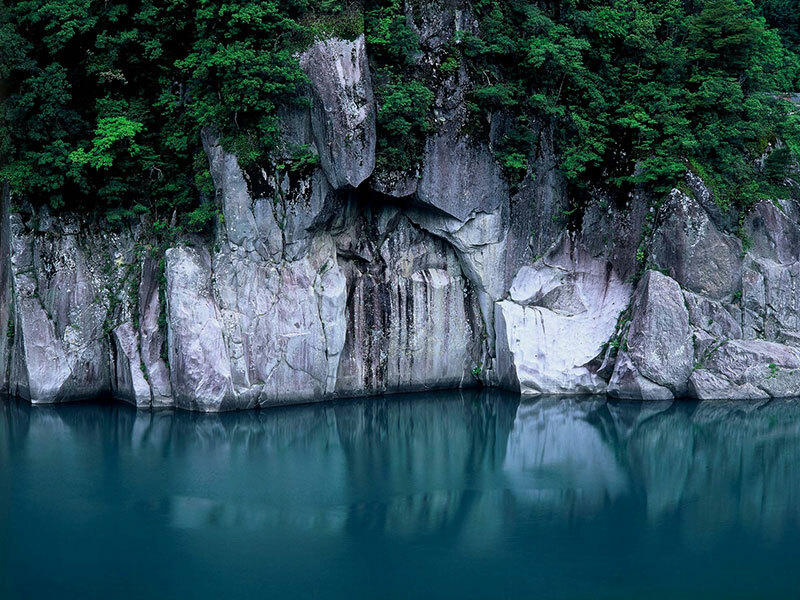 As you ride along, a tour guide will tell you about the area's history as you enjoy the scenery from the boat. 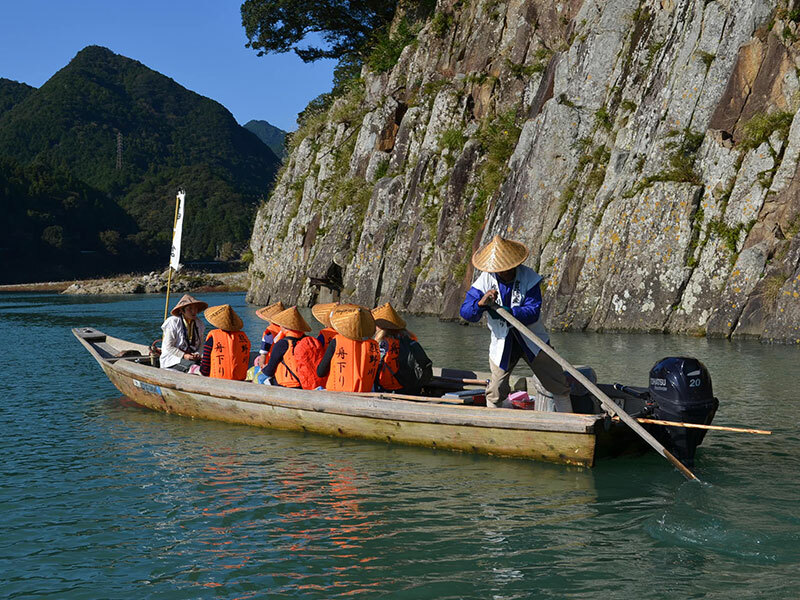 "Kumano-gawa Boat Tour" is operated by Kumano-gawa River Boat Center. Click for inquiry or application. 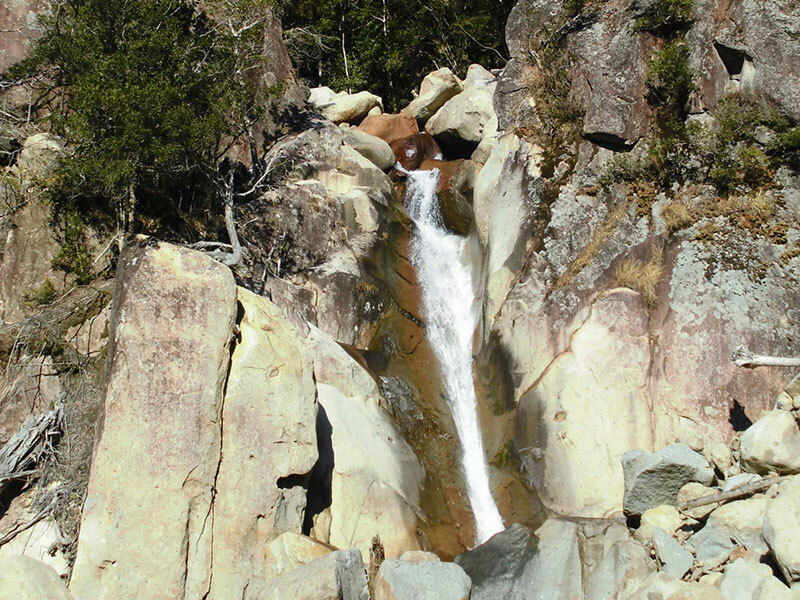 Famous waterfalls flowing down the mountain, such as Nunobiki Falls and Aoi Falls, appear one after another. 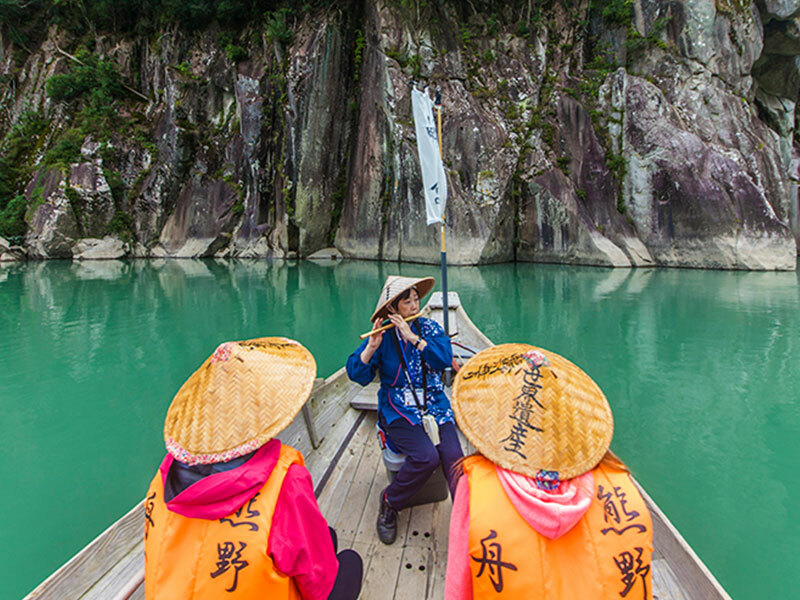 The tour guide may even give a performance on the boat, such as playing the Shinobue. 29 minutes from JR Shingu Station by Kumano Kotsu Bus for Hongu direction, get off at Michinoeki kumanogawa Bus stop, 1 minutes on foot.